Find a LASIK specialist in Omaha. Imperfect vision can be corrected. Permanently. LASIK, or "laser-assisted in situ keratomileusis," is a common eye surgery that corrects focus and restores sharp vision. People with myopia (nearsightedness), hyperopia (farsightedness) and astigmatism may benefit from this procedure. LASIK is advanced laser surgery to permanently alter the cornea and improve focus. A special blade or a laser cuts a precise opening or flap in the cornea allowing access to inner layers. A computer-controlled laser reshapes the inner cornea improving the eye’s ability to focus. The flap is reconnected without stitches and heals naturally. There is a brief recovery time while vision stabilizes. Mild discomfort and blurry vision is common the first few days. 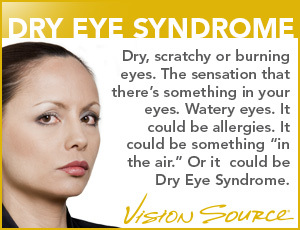 Other common side-effects such as sensitivity to light and dry eyes may last several weeks or months. Your doctor will examine the treated eyes the day following surgery. Many achieve 20/20 vision, but others achieve 20/40 or less. Who Is Right for LASIK Eye Surgery? About 80 percent of the adult population is a candidate for LASIK eye surgery. There are plenty of lifestyle reasons to choose this treatment including wanting freedom from the inconvenience or risks of daily corrective lens wear and having a busy, active lifestyle.